On August 5, 1926, master illusionist and escape artist Harry Houdini entered the record books after spending 91 minutes in a coffin underwater. 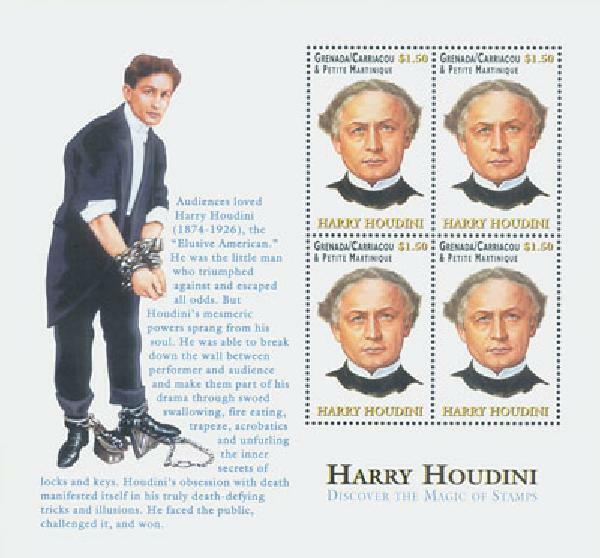 Houdini began performing at the age of 10 and quickly earned a name for himself. Having worked as a locksmith’s apprentice, he used handcuffs in his acts until imitators began to surface. He then turned to more daring escape acts and his popularity skyrocketed. In July 1926, magician Rahman Bey spent an hour in a box underwater, setting the first record for such a feat. He then challenged Houdini to try it. Ever the competitor, Houdini excitedly accepted. Houdini rose to the challenge in early August at the Hotel Shelton in New York. He climbed in the 700-pound coffin and was lowered to the hotel pool. Although he’d previously done two practice tests, Houdini was concerned about the intense heat inside the box and became increasingly uncomfortable. He began to imagine the box breaking and drowning. Despite his fears, a pale Houdini emerged from the box after 91 minutes, breaking the record and earning the accolades of all present. 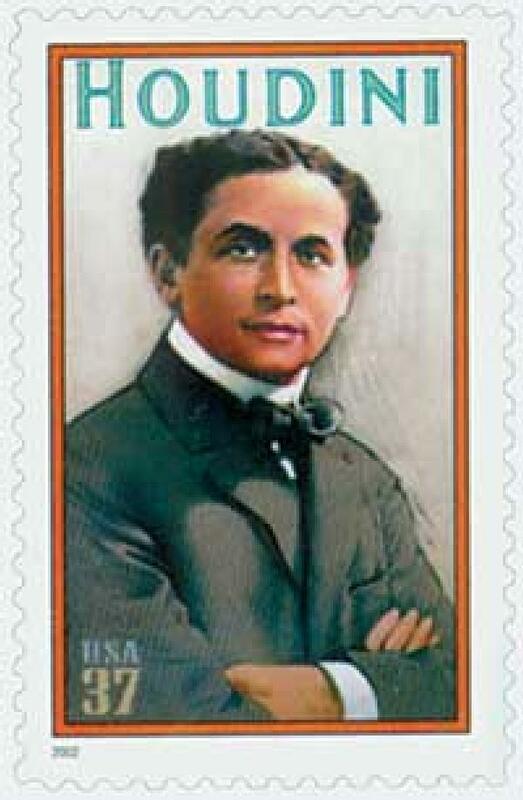 Houdini believed his feat could serve another purpose. He thought it could serve as an example for miners trapped in shafts with little oxygen. If you like magic, you’ll love U.S. #3651 pictured to the right. If you look at it through a special decoder lens (available here) you’ll see Houdini wrapped in chains – another of his famous feats! Click the images above to add these stamps – and their history – to your collection. 3 Responses to "This Day in History… August 5, 1926"
Great information, Don. Thanks to you and your staff. My Great-Uncle, William Pike, was Houdini’s antagonist in the 1919 states-right motion picture “The Master Mystery”. He recalled that, between takes, Houdini played gin rummy always beating the hell out of cast and crew. W.Pike 1887-¹937. 22 silent films. All lost except his first, “Salomy Jane” 19¹4 with Beatriz Michalena. Neil Armstrong’s contribution to space exploration cannot be overstated. And yet he never sought to exploit those deeds with a book or movie contract. A true American hero.